An exciting new interactive platform for mapping and sharing historical content is launching today, and we’ve made Vancouver a hotspot. Historypin has been on the web in beta-test form for the past year, and, as such, won a 2011 Webby Award for Best Nonprofit/Charitable Site. Now it is launching both the upgraded platform and a mobile application. Historypin allows users to upload content and then “pin” it to a Google map. 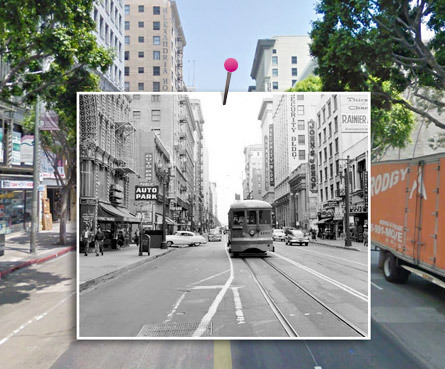 Images can be overlaid on Google Maps Street View to show then-and-now for a location. We have our own Historypin page, where you can view the images we’ve contributed so far. One of our wonderful volunteers, Helen Lee, selected hundreds of photographs of Vancouver as seen at street level, and our colleagues at Vanmap geo-coded them so they could be pinned to the map. Historypin is busy aligning the images in Street View. We’ve tried to concentrate the images in the Downtown/Gastown area to create a hotspot of historical images.It wasn’t possible to make all of those images available in time for the launch, so you can expect to see many more appearing in the weeks to come. In future, we will be finding more images to contribute, as well as looking for suitable moving images and audio. And there’s a smartphone app, so you can see this wherever you are. Historypin.com is a project of We Are What We Do, an innovative non-profit company based in London, England. Google is the main technology partner. You can contribute. Historypin isn’t just for archives’ content. You can contribute both images and stories and map them to the world. There are over 50,000 images on Historypin now, and it’s going to get better. Over the next year, local projects (at the neighbourhood level) and more tools for archives will be rolled out. Take a look around Historypin and let us know what you think. 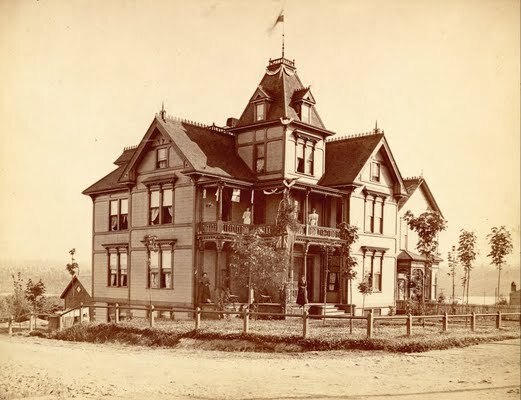 This entry was posted in General, Holdings and tagged Historypin, maps, photographs. Bookmark the permalink. Thanks for sharing the link – what a great idea for a website! I think I could easily spend hours on it. 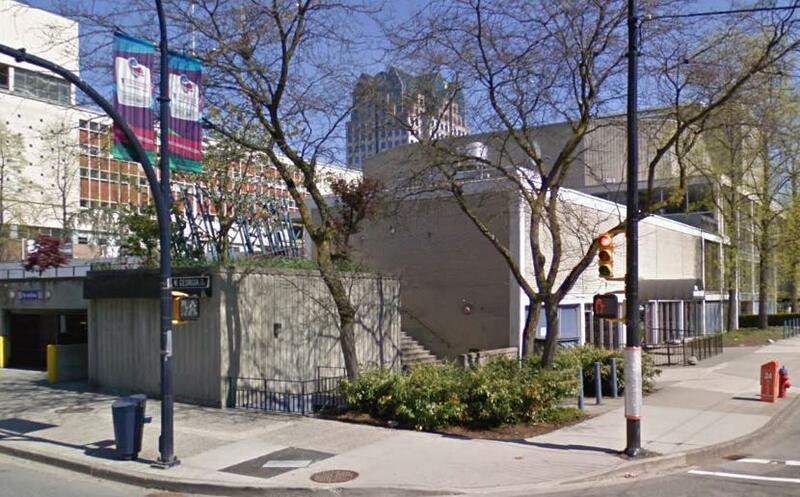 It’s a shame the Boarding House isn’t on Cambie Street anymore, but it’s amazing to see what transformations streets go through over the years. this is such a fun idea! I love knowing how my city has changed and grown. I also love showing my friends that are new to the city what used to be.